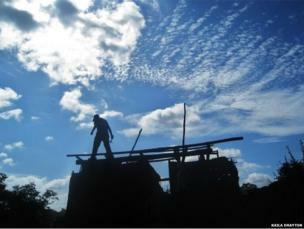 Each week, we publish a gallery of readers' pictures on a set theme. 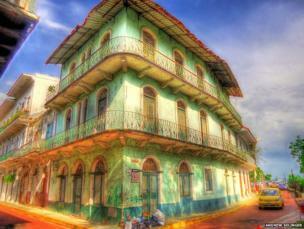 This week we focus on the country of Panama, and we begin with this picture by Daniel Moore. 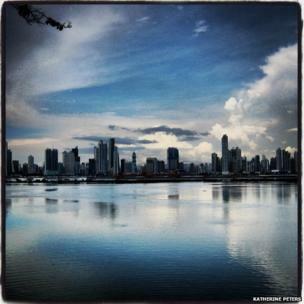 Katherine Peters: "What's more Panama than Panama City from across the harbour?" 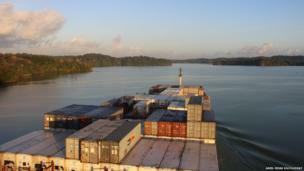 Ariel Frias Ducoudray: " A vessel crossing the Gatun Lake at the Panama Canal." 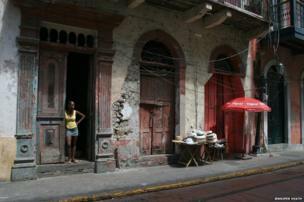 Andrew Selinger: "I travelled solo to Panama City, staying in a hostel in the old colonial Spanish quarter, Casco Viejo. The primary purpose of my trip was to capture the city in photographs - I have been shooting high dynamic range (HDR) photos for about four years now." Jennifer Heath: "When I retired I backpacked around the world for three years." 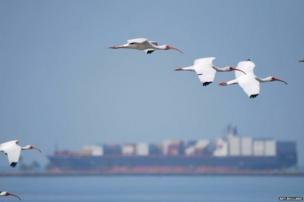 Art Bullard took this picture of American white ibises flying above the Panama Canal. 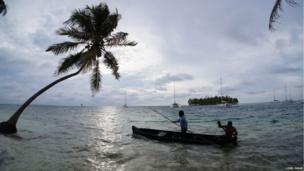 Lord Omar: "The Kuna people still live a somewhat traditional lifestyle on the sparsely populated San Blas islands. It has also become a popular tourist destination for Western travellers." 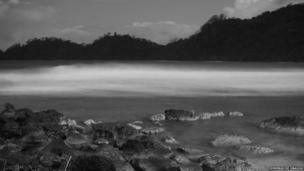 Domingo de Obaldia: "Picture was taken while camping with friends at Isla Grande, an island off the northern coast of Panama in the Colon Province. The full moon provided the perfect mood lighting for a night outside." 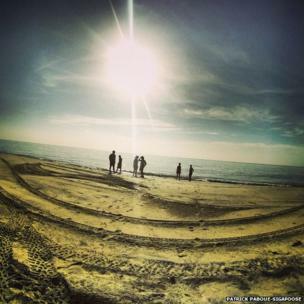 Patrick Paboue-Sigafoose took this photo on Santa Clara beach. 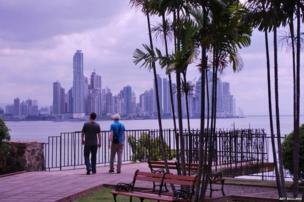 Art Bullard: "The City of Panama seen from Casco Viejo." 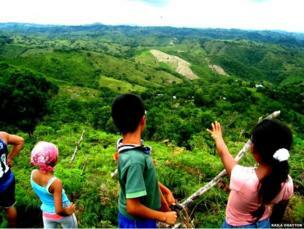 "Kids point out their houses from atop the highest point in this Panamanian village." 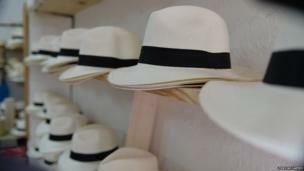 And finally, a photograph of Panama hats by Tony McCarthy. The next theme is Cycling and the deadline for your entries is 22 July. If you would like to enter, send your pictures to yourpics@bbc.co.uk. Further details and terms can be found by following the link below this gallery.